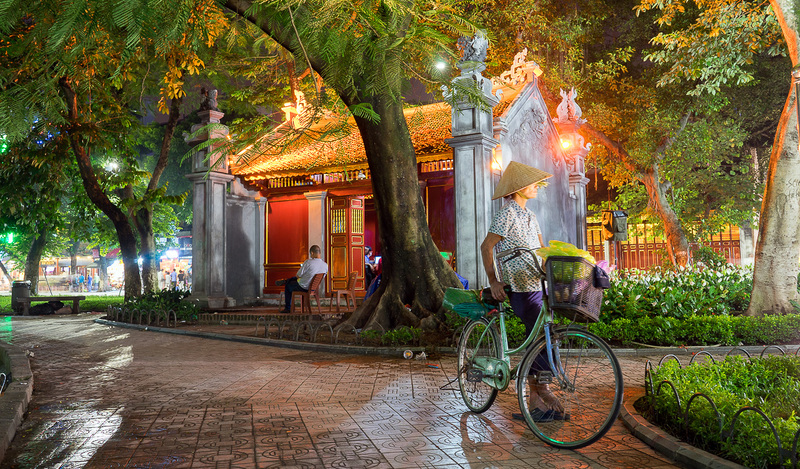 Walking around the streets of Hanoi, it’s impossible not to wonder how many treasures the city has locked away, safely out of the view of tourists. 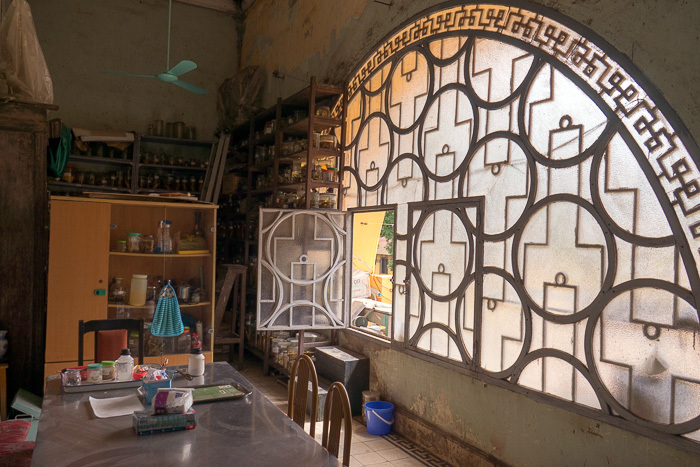 There’s so much history here, so many ancient houses and darkened alleys, that there simply must be secrets. 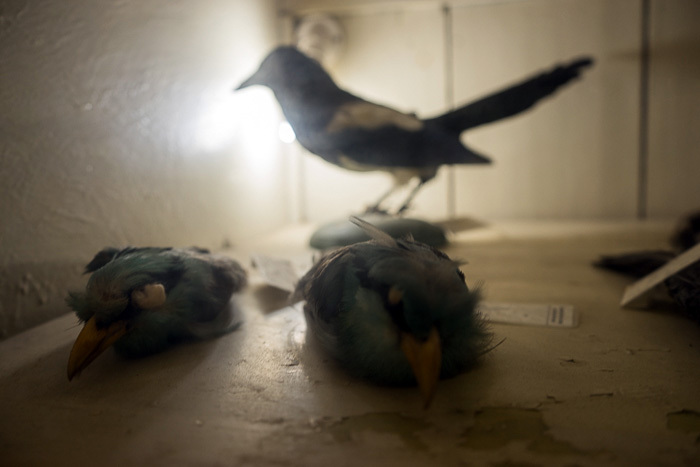 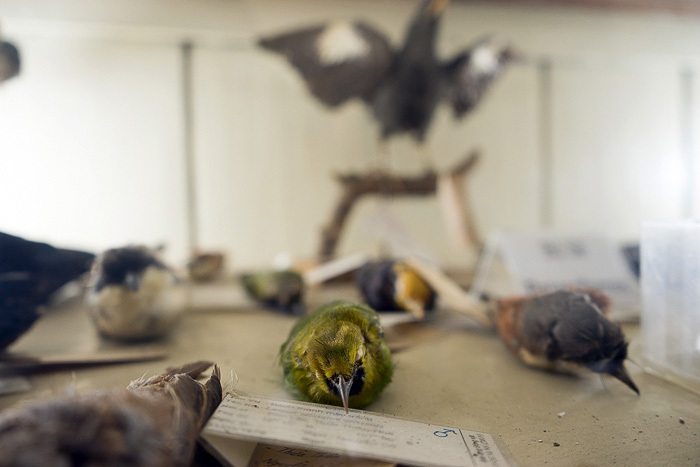 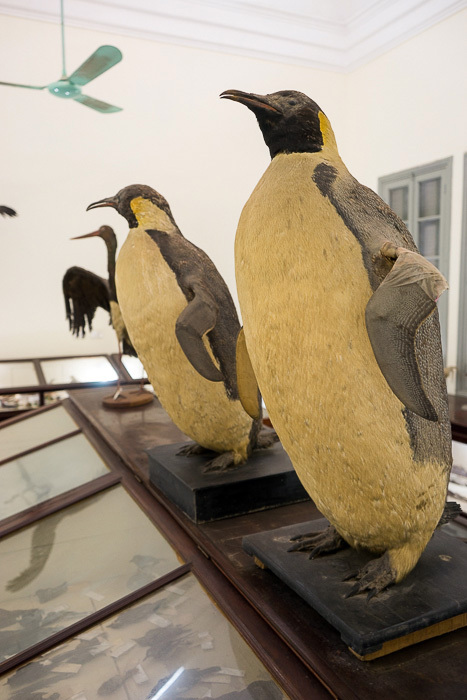 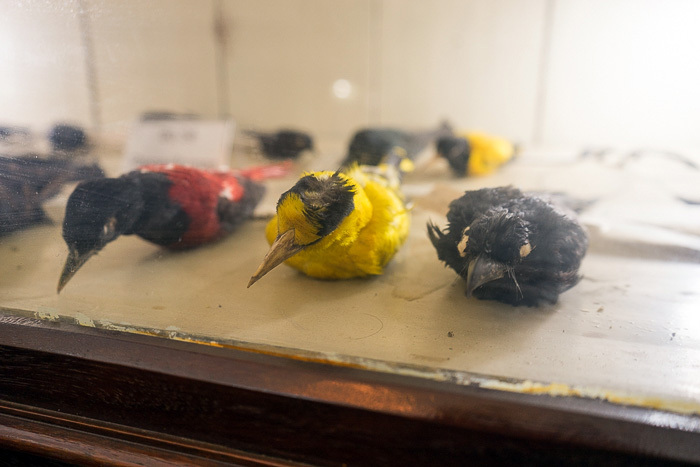 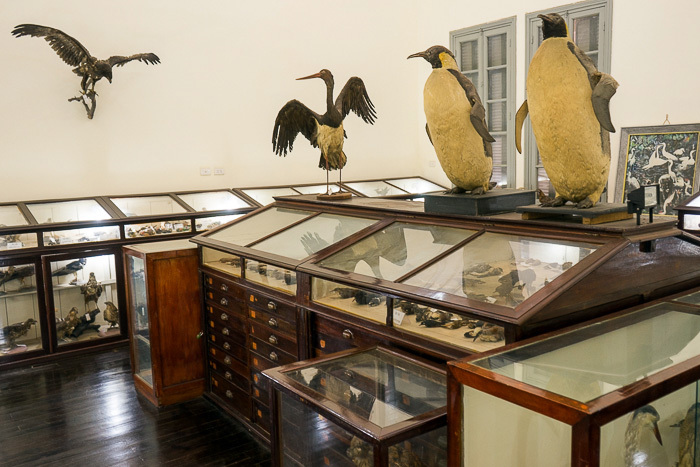 One of the most interesting we discovered is a colonial-era zoological collection on the second floor of the Hanoi University science building. 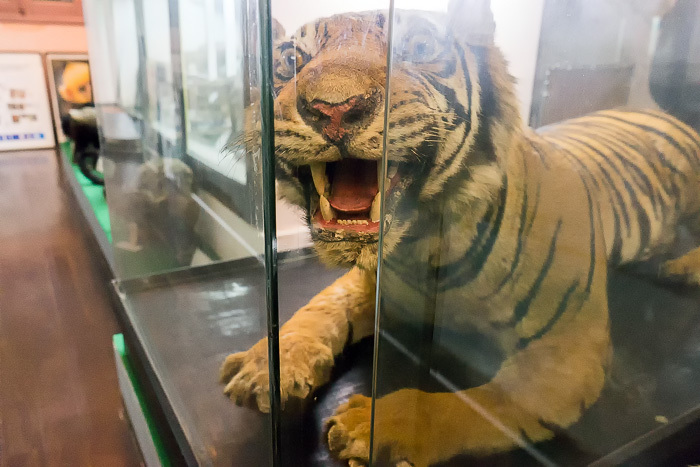 Our first attempt to visit the collection was not a success. 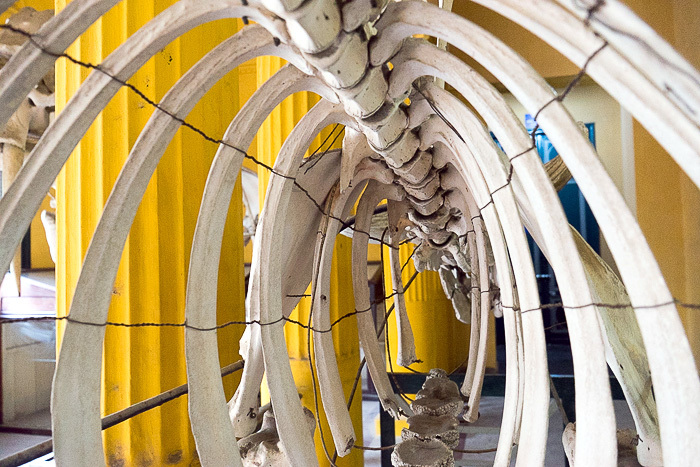 We were definitely in the right place, if the mammoth skeleton in the hallway was any indication, but the door was locked. 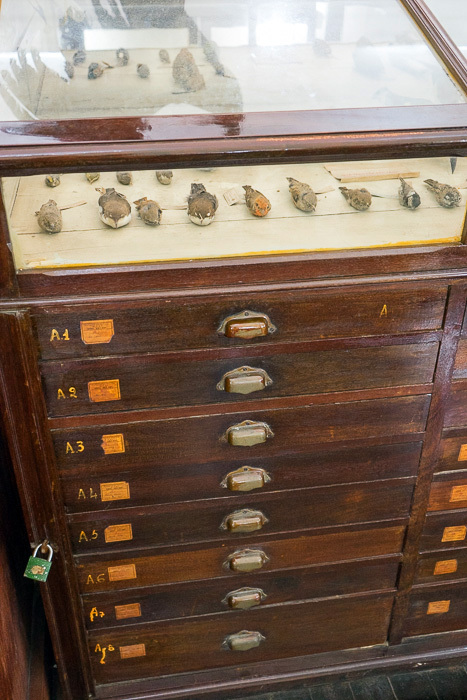 After asking around, we learned that the man in charge of the collection had recently been transferred to a building way across town. 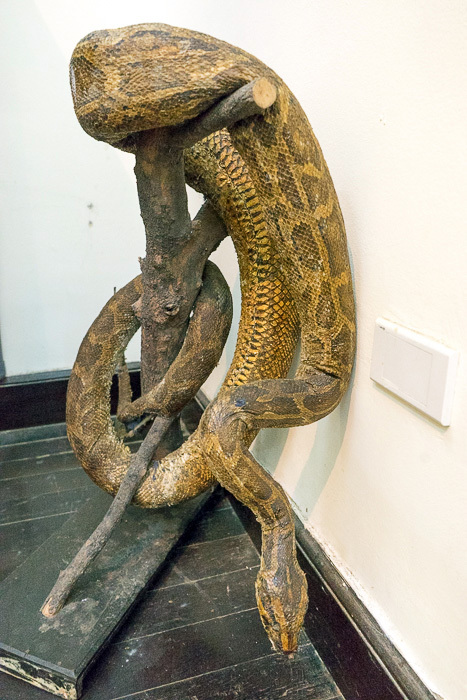 And he took the keys with him. 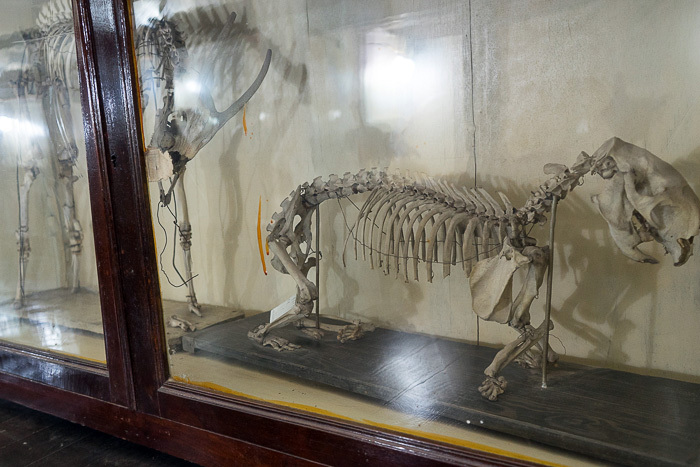 So if you want to see the Zoological Museum, you have to get in touch with him first. 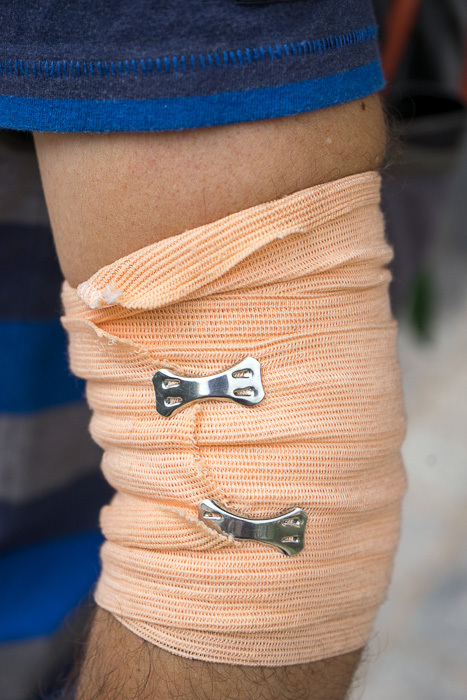 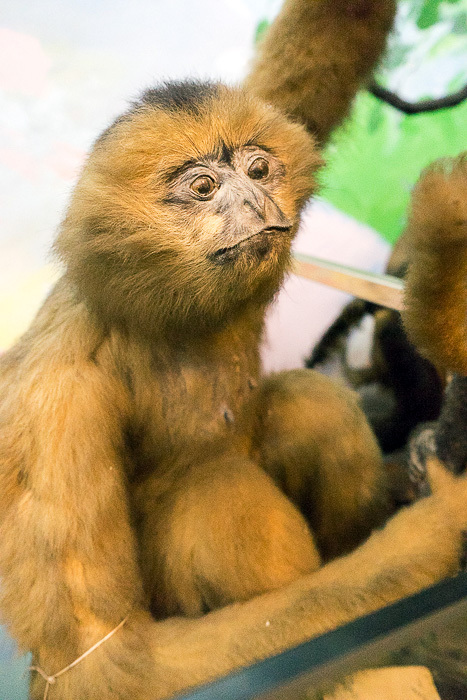 He’s quite responsive; we received a response to our email right away, and set up an appointment for a few days later. 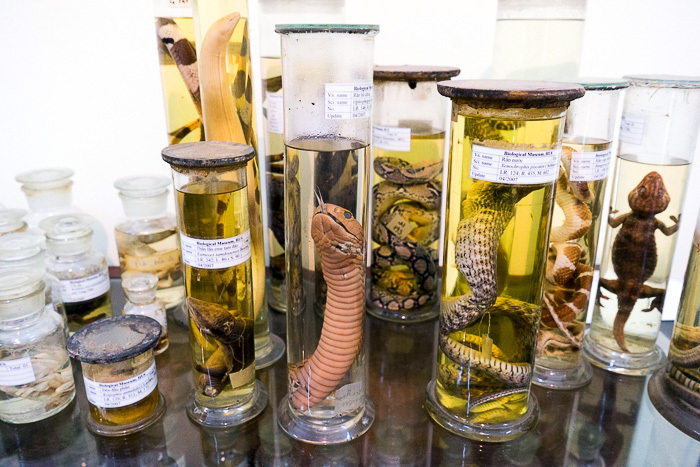 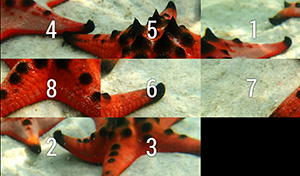 The effort was worthwhile, as this collection is fantastic for all the right reasons … and all of the wrong ones, as well. 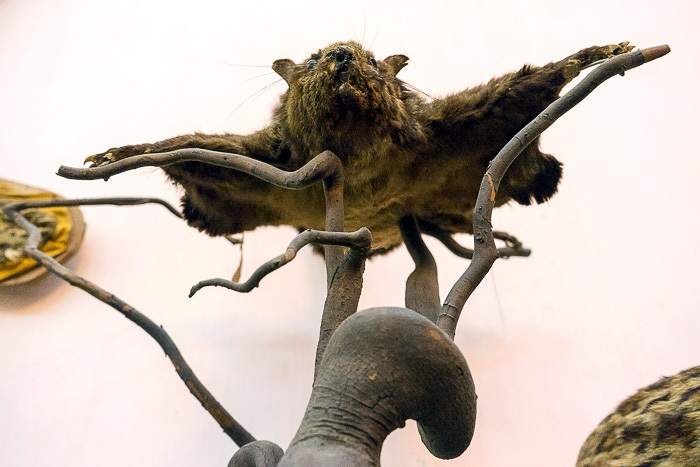 Fans of shoddy taxidermy will be in heaven. 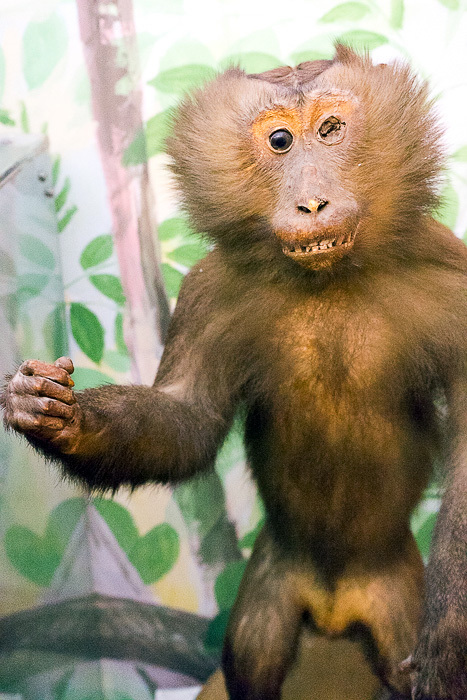 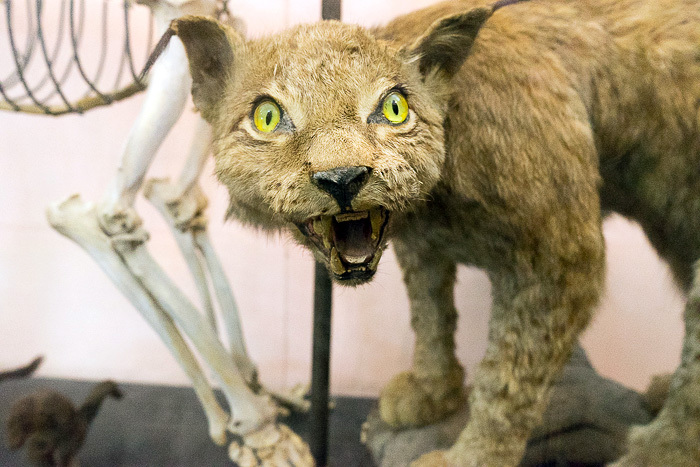 There are three rooms, mostly featuring mammals who were stuffed and embalmed by the French at the turn of the century, and the creatures look their age. 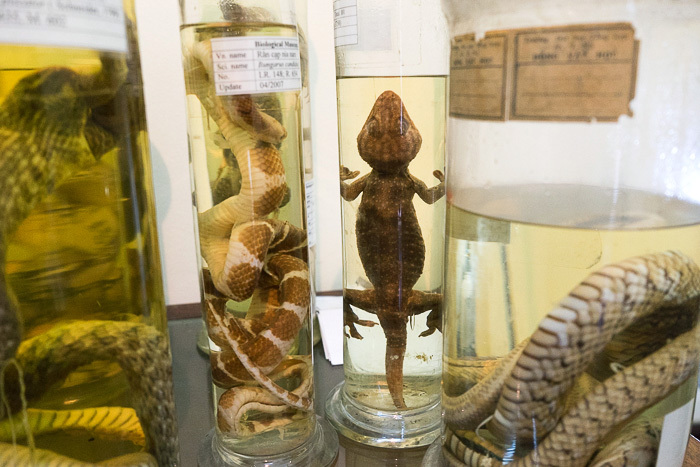 There are jars with lizards, penguins, scowling baby leopards, half-rotting monkeys, dozens of mounted heads, and even a baby elephant. 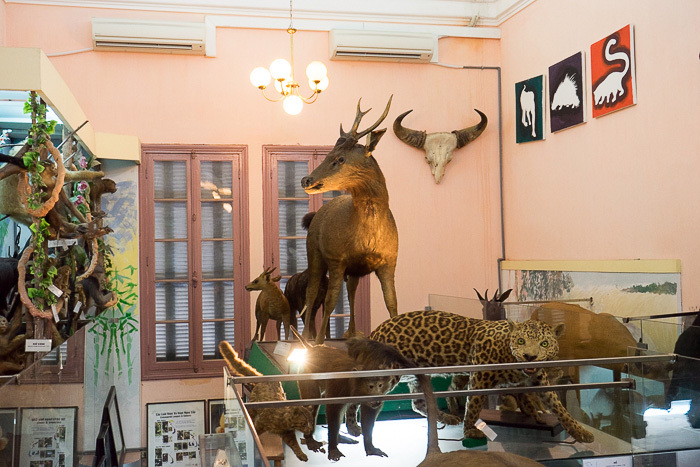 The museum is small, but it manages to pack a lot in, and took longer to get through than we had expected. 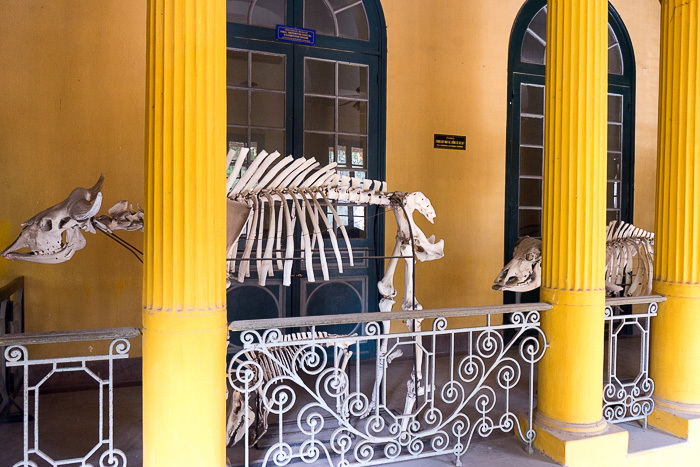 And it’s really entertaining… we felt bad laughing at some of the more comical corpses, but couldn’t help ourselves. 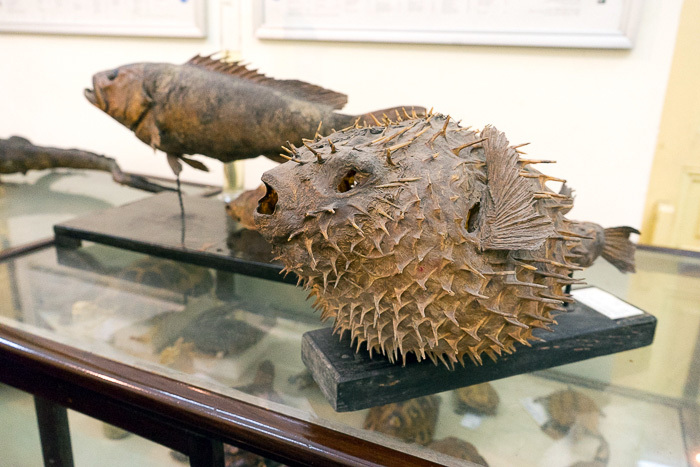 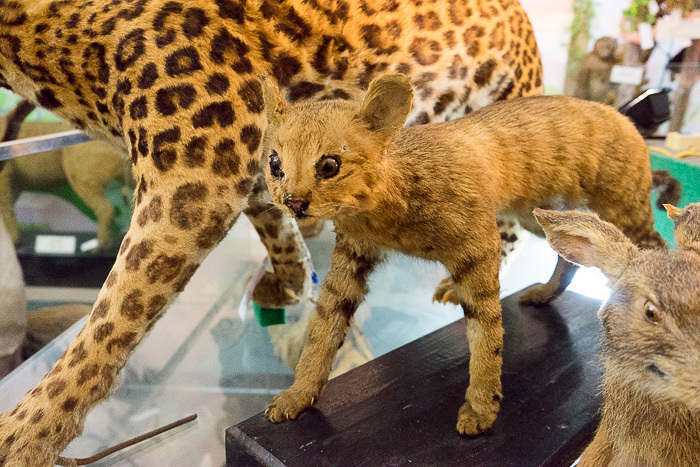 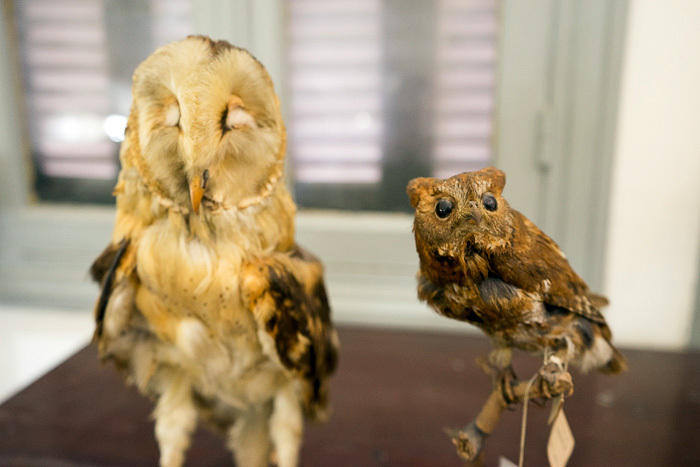 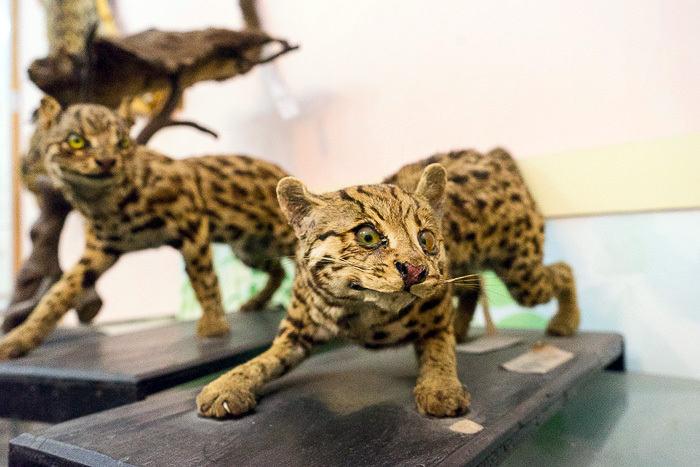 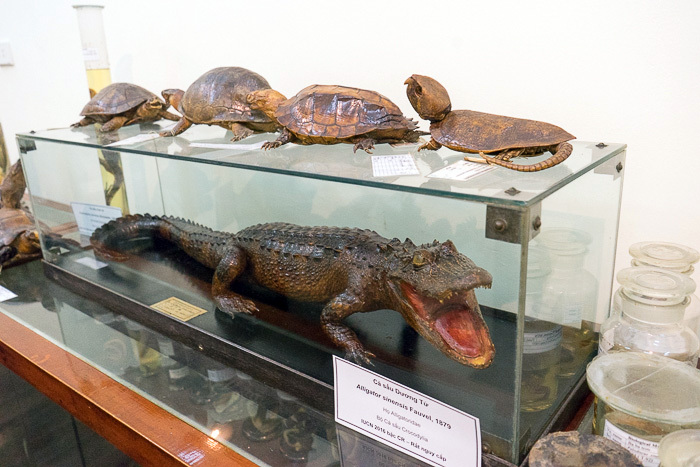 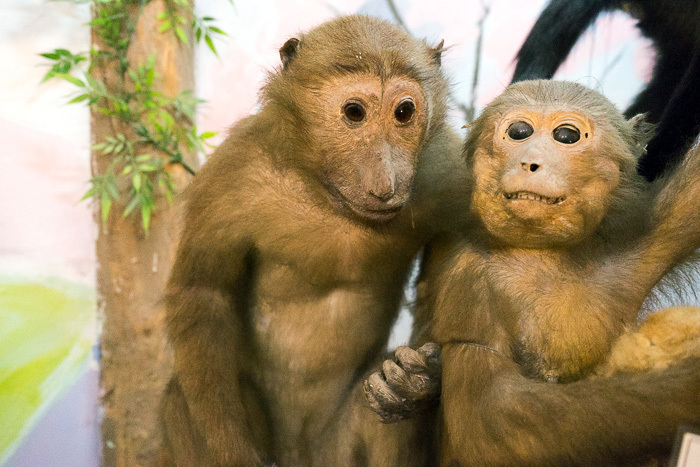 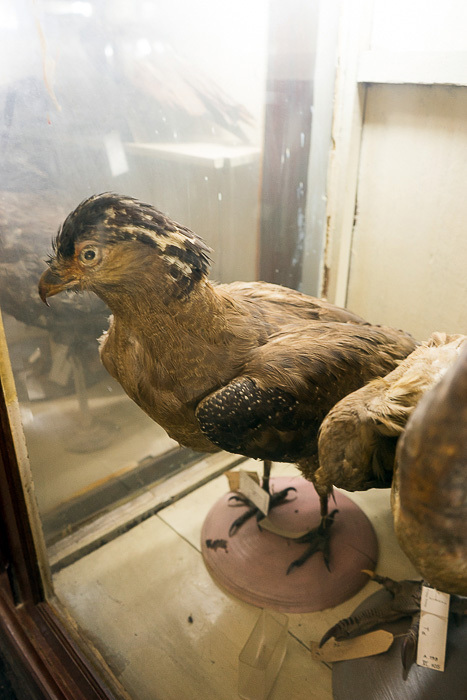 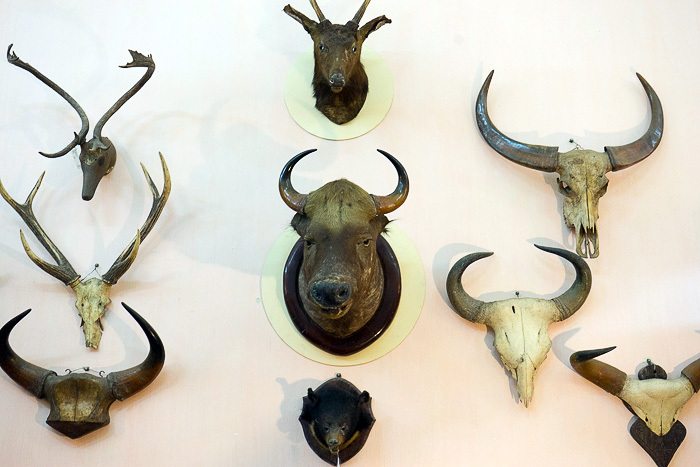 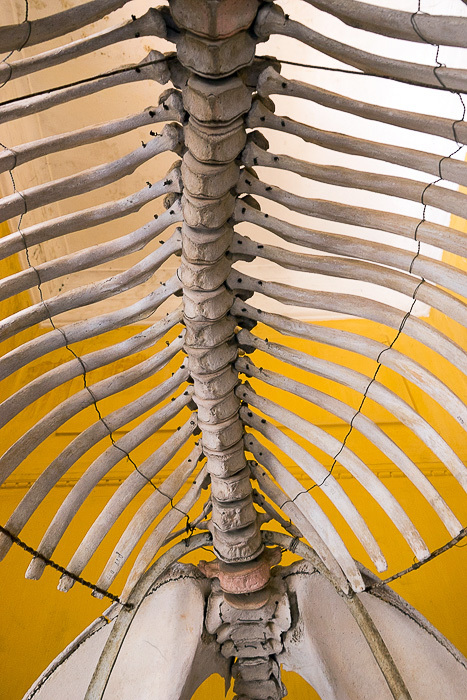 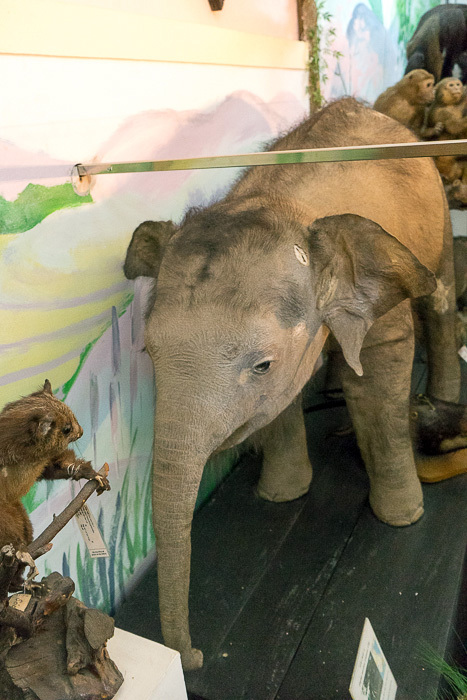 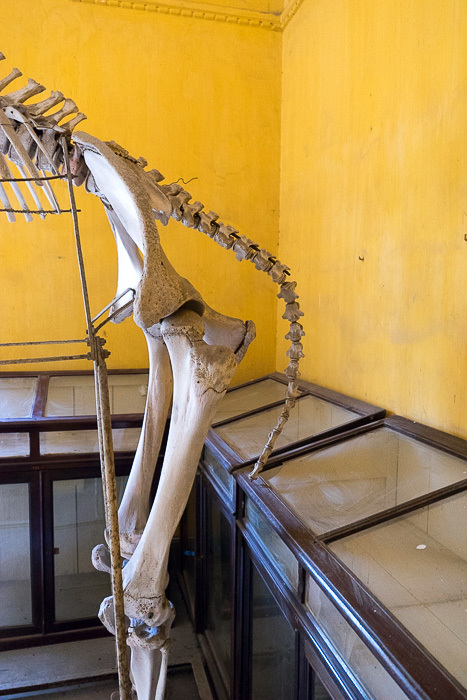 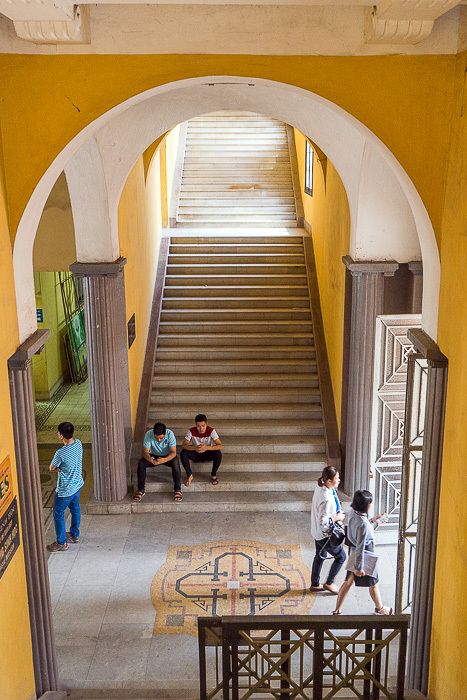 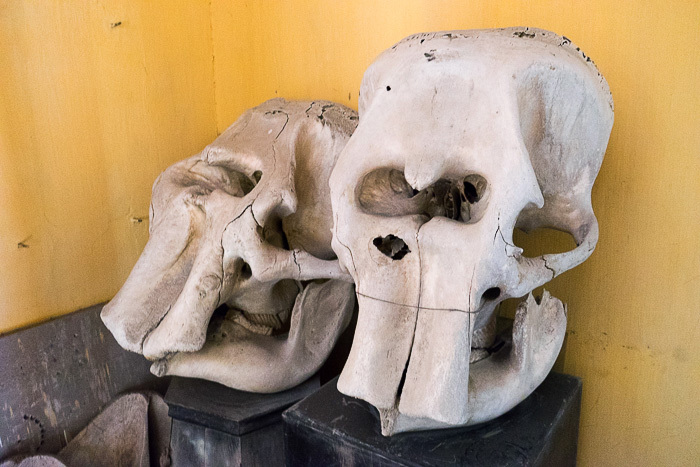 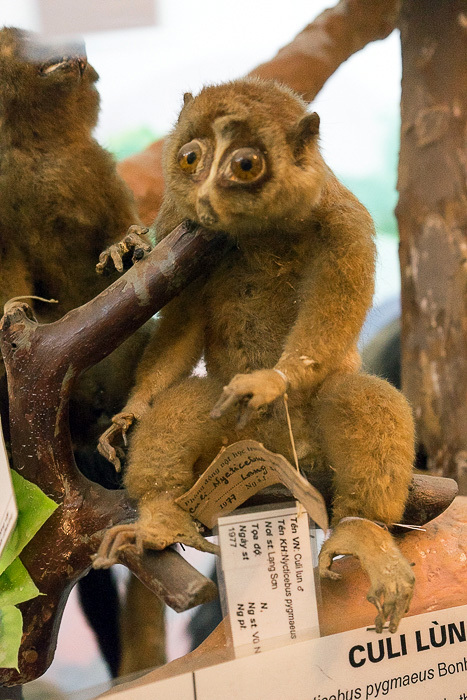 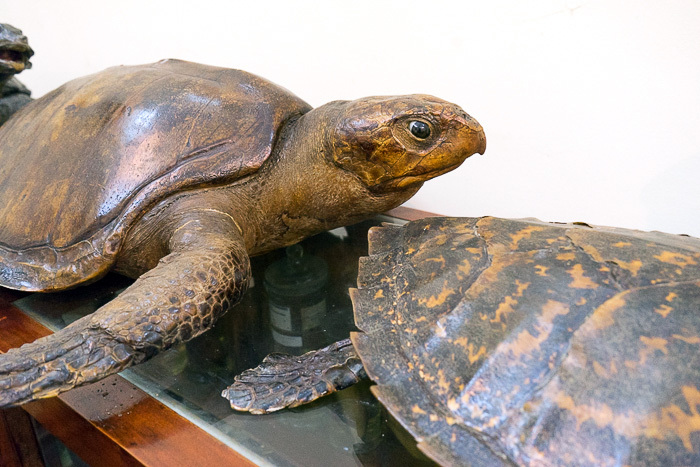 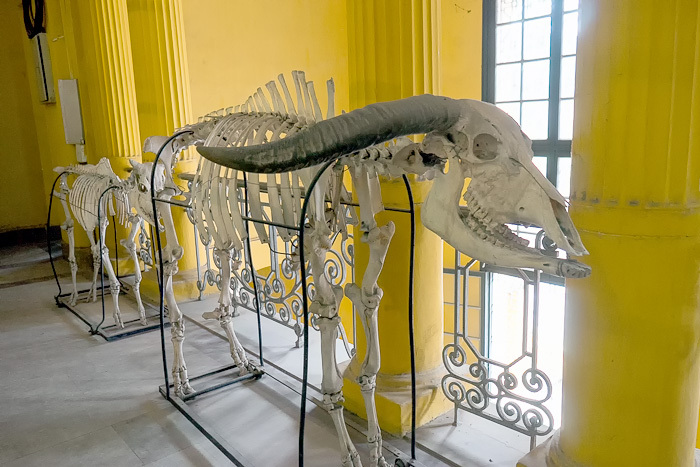 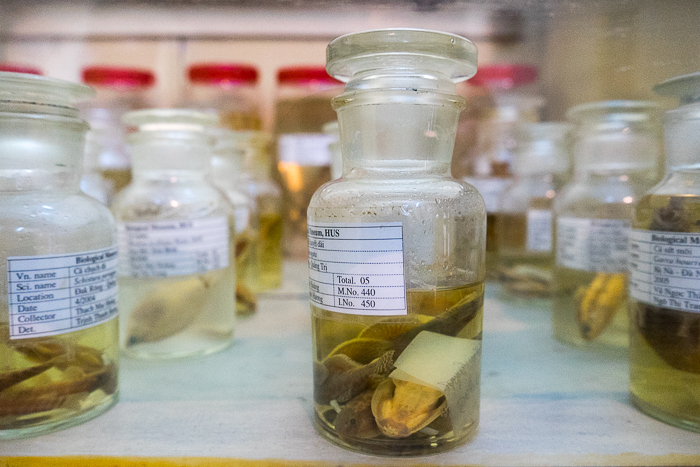 We’re never going to say “no” to an excellent, state-of-the-art science museum, but there’s also something wonderful about small and antiquated places like Hanoi’s Zoological Museum. 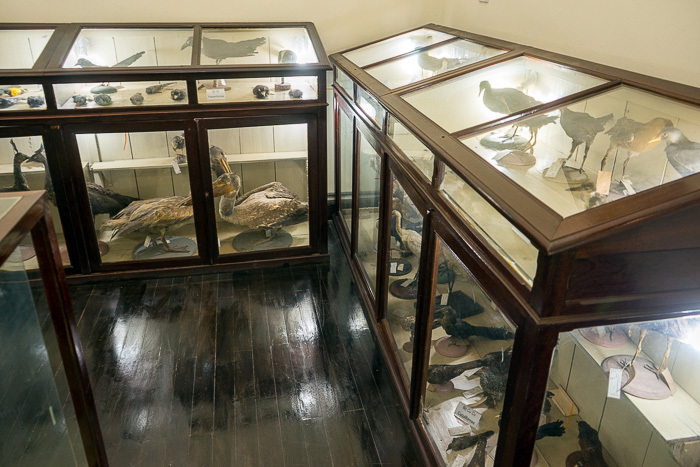 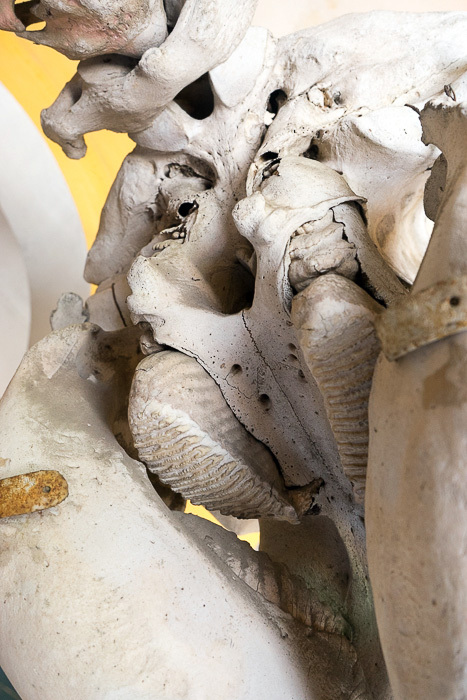 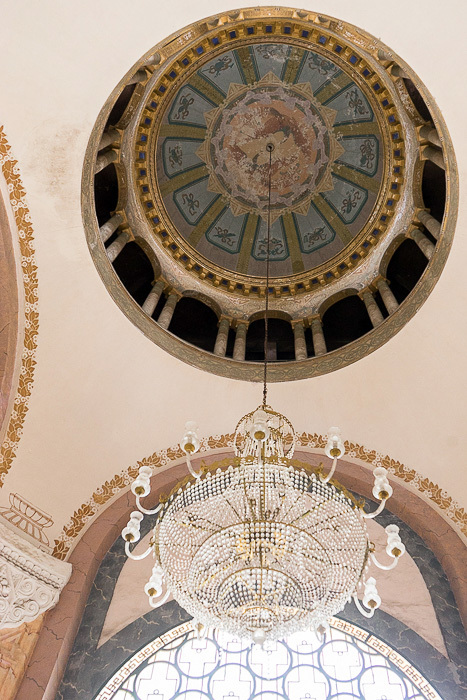 With its dust-covered jars, antique exhibits, locked entrance door, and spooky location on the upper floors of a colonial university building, this collection has atmosphere to spare. 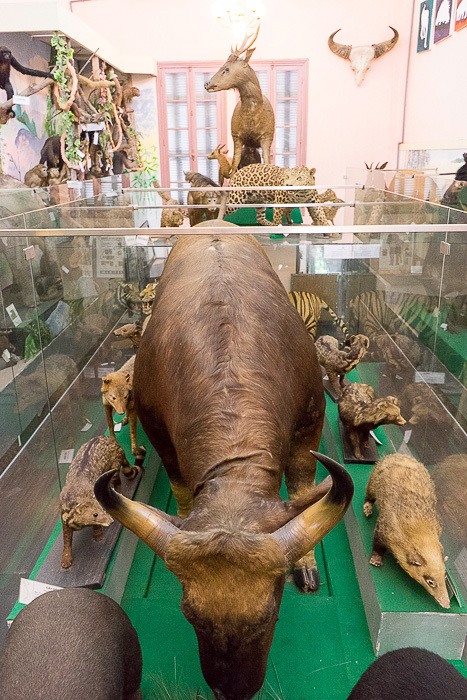 3/20/2019 – Just left the museum. 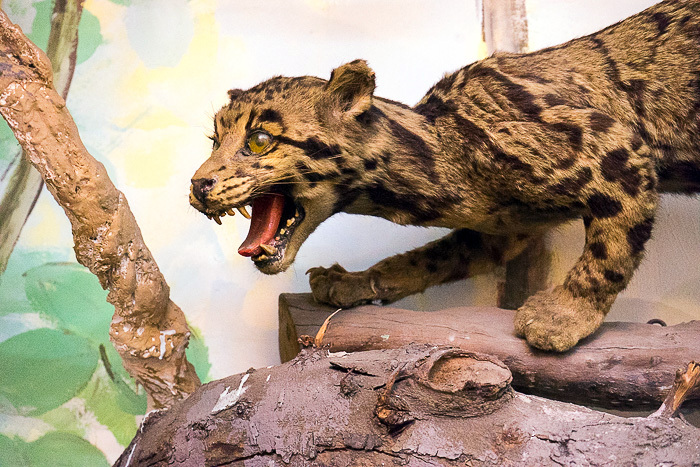 I contacted the museum director using your contact information and he replied the next day telling me the museum was open M- F in the morning then afternoon but you must inform them of your visit at least 2 hours before your arrival. 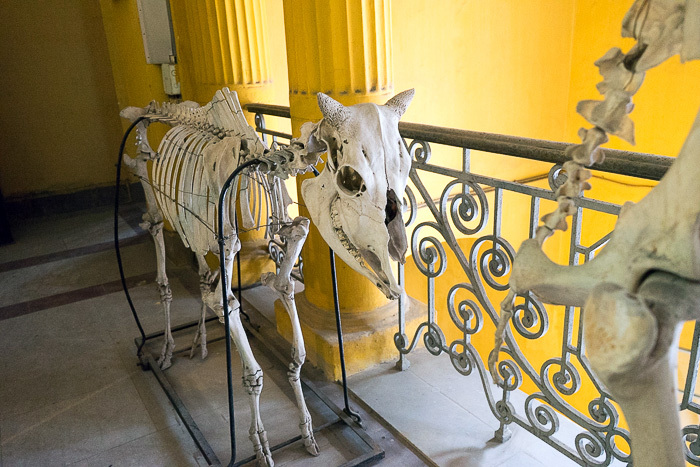 A staff member unlocked the three rooms and didn’t really speak English so we couldn’t ask any questions tho we had plenty of them. 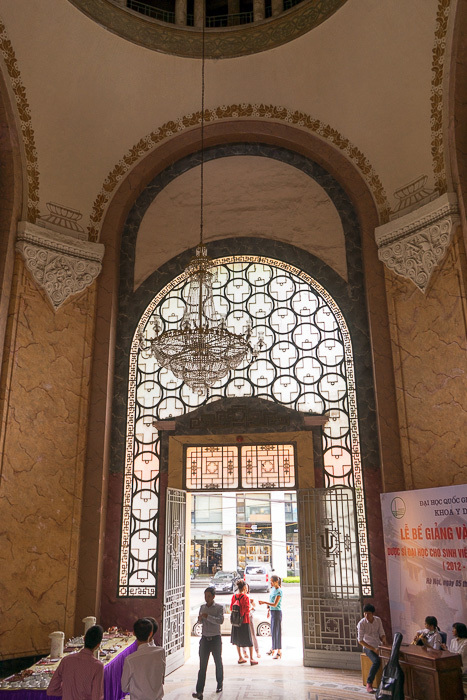 At the end she handed us a sign in book and asked for $15 USD or 300,000 VND. 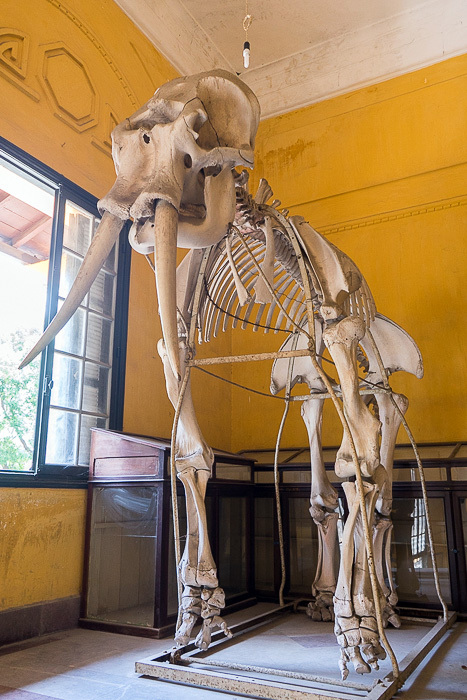 That was a surprise and a rather steep price for a 30 minute visit. 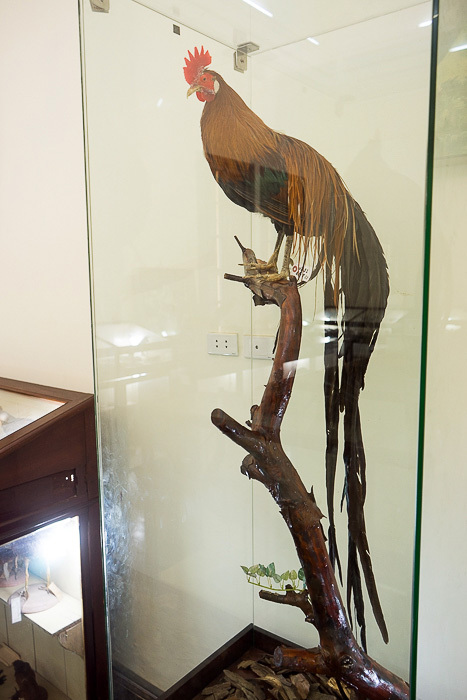 Not sure if this is a regular charge but if you are on a budget this maybe something you might want to skip. 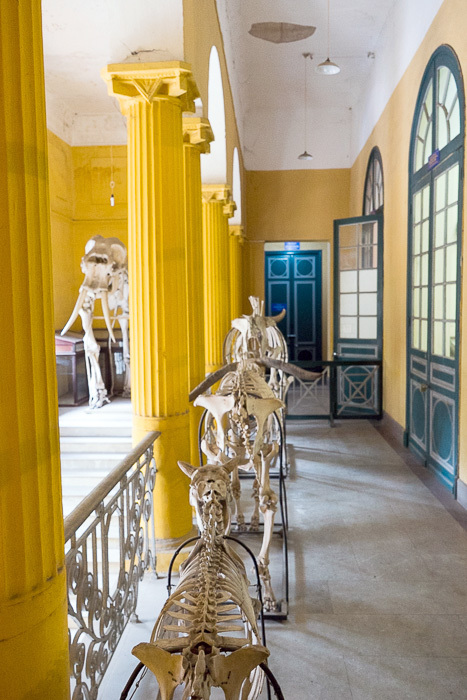 If you are in to quirky things, it maybe worth the price of admission.